Mukdenia rossii 'Karasuba' is a low growing perennial with bold leathery palmate foliage which turns bright red from midsummer into autumn. Dense upright panicles of exquisite tiny star shaped flowers which start blush turning to white appear from April to May. 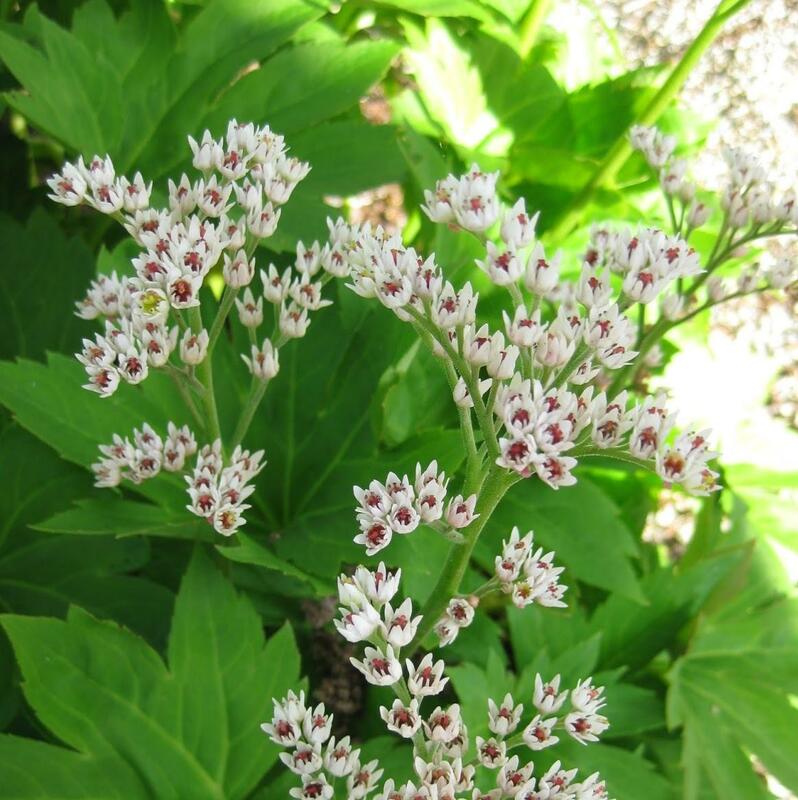 A superb woodland perennial, to add drama to the front of a border or in large drifts for dramatic ground cover. 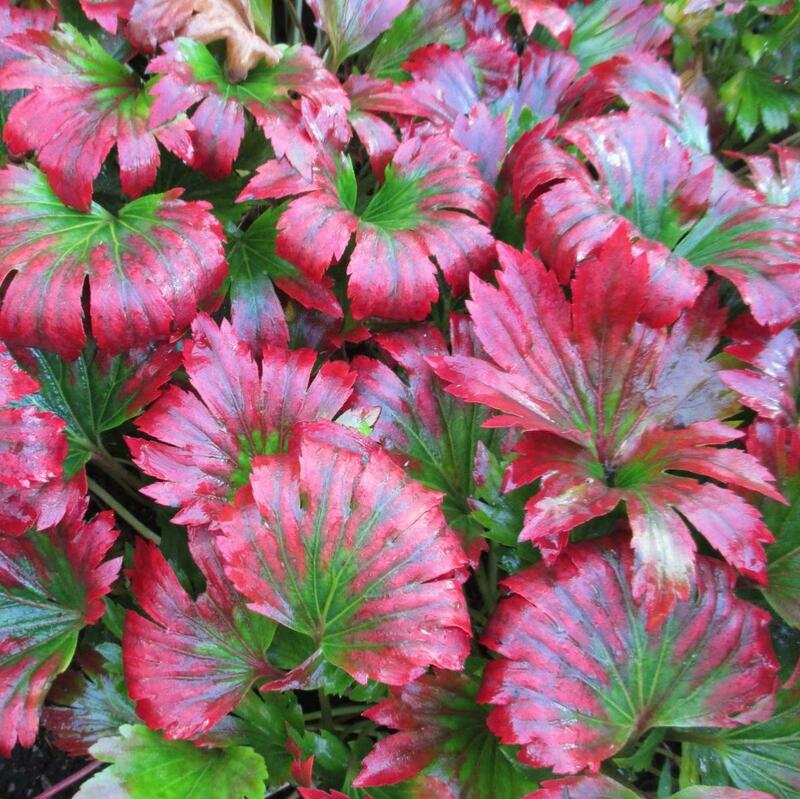 Prefers moist soil in partial shade. Height in flower to 45cm.